PetArmor for Cats provides the same #1 veterinarian-recommended active ingredient, fipronil, in the same concentration as Frontline® Top Spot. You get the same flea and tick protection at a significant savings. PetArmor for Cats acts fast. It is an effective, long lasting, waterproof, and easy-to-use application for killing fleas, ticks, and chewing lice on cats 8 weeks or older. 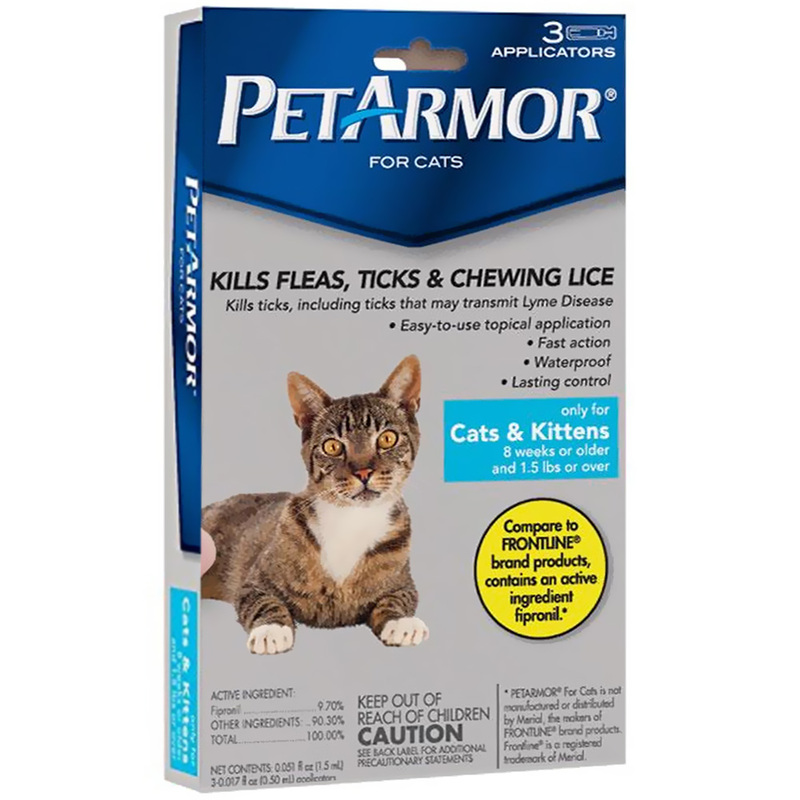 PetArmor for Cats stops infestations of fleas, ticks and chewing lice when used as directed. Invert tube over dog and use open end to part your cat's hair. Squeeze tbe firmly to apply all of the solution to the dog's skin as a spot to the cat's back between the shoulder blades.